Creating a product is one thing; bringing it successfully to the market is another. There are hundreds of thousands of inventors who have the talent and flair for creating their own products. However, only a small percentage is able to profit from the invention’s success. Many lack the resources to manufacture their products, even develop a prototype. Others are not able to find the right partners that can provide them with resources and reach that their invention needs. How do you bring your product successfully to the market? Selling Locally. Depending on your product, your local market can be the best venue for your invention, or simply a start. If your product is specialized or would require extensive sales support, you may opt to limit your scope locally. Starting locally can also provide a good momentum should you decide to push your product nationally (or globally). While many inventors dream of striking it rich with their products, sometimes finding a company to help you fulfill your dreams may be tough. Instead, you can opt to start slowly, and one way is to offer your product within the local market first. Your own community would be a good venue to test consumer response, even generate local publicity for your product — important tools that you can use in your presentations with future partners. Fairs, Craft Shows and Events. An important avenue for selling your invented products is through participation in fairs (country, state and other fairs), craft shows, home and garden shows, sports shows, home shows, auto shows, and other events. Under licensing, you own your invention but rent out the rights to make, use or sell your invention in exchange for either a flat fee, royalty for each unit sold, or both. You can give the license to manufacture, market, advertise, and distribute the product to only one company; or you can give a non-exclusive license to more than one party. Royalty fees from licenses vary from less than one percent of net sales up to about eight percent, but the majority of royalty rates range from three to six percent of net sales. They are rarely large because of the considerable investment by the company to turn your invention into a marketable product or process. Companies will take on licensing agreements with inventors if the product has wide market potential and has a “ready to go” appeal. More importantly, the product must fit with the company’s product line. Hence, finding the right company is often a difficult process for inventors. Private Label Marketing is a strategy often used when an inventor wants to build a quick sales base or needs to reach a wider clientele of big mass merchants. It is an arrangement wherein another company – usually a big, well-established business entity — sells your products under their own name. Big department stores like J.C. Penny’s have a number of private label clothes sold under their J.C. Penny brand. The downside to private label marketing is that you can become overdependent on one customer, and their dropping the agreement may spell the end of your business. Always consider this risk when entering into private label marketing. Minimize this risk by asking them to invest and become a full-pledged partner of your business. Or you can open channels of communication with other potential marketers that you can approach when the original partner drops out. Companies or individuals are willing to enter into a joint venture agreement with an inventor if they usually see something special about your product, be it in terms of market opportunity and market size. There should be a clear market need to convince the potential joint partners that your product will attract sales and profits. They will be looking at your planned strategies and approaches, your arrangements with the distribution channel, as well as your relationship with key people in the market. A knock ’em dead presentation. Unless you personally know your potential partners, you need to provide a sizzling presentation that will introduce – and convince them — to work with you on your project. You need to convince them that you have a superior and marketable product, and that your project has a strong chance at success. Your presentation should cover your target customer, market size, distribution channel, profitability, fit with the company’s other products, and why you are presenting to this company. Your presentation should generate excitement for your product. More importantly, however, you need to convince them that you are a reliable partner. Fair agreement. A common cause of failure in joint ventures is when one partner feels that they are not getting as much as the others. Make your partners feel that they are getting a fair deal by requesting for their inputs in structuring the partnership agreement. Knowing that they had a hand in drafting the partnership agreement can make them feel more confident that they are getting a fair share in the deal. Introduction Timetable. Whether you have 1 or 5 joint venture partners, a schedule is critical to ensure the successful completion of your project – on time and on budget. Prepare a list of tasks that need to be done, when they need to be accomplished, the parties responsible, and who will pay the reported costs. You have an excellent product idea; one that you think would be a big hit on the market. You know you can sell the product, but you do not have the experience or resources to manufacture, create and distribute your product. You can approach potential companies willing to manufacture and distribute the product as their own – with you receiving commission or royalty for every product sold. Selling on commission means that you will be involved in selling the product, unlike licensing where most if not all of the tasks are handled by third parties including sales. Build a momentum for your product. The manufacturer or distributor must be convinced on the sales potential of your product. You must first establish that your product possesses clear market advantage, either by being superior compared to currently existing products, or by being different. It would also help if you have one or two customers presold before approaching a manufacturer. Do your homework. Your key role under this strategy is to sell the product. Hence, you need to work on a comprehensive marketing plan. The first step is to identify your market. Know the key consumer groups that will be interested in purchasing your product, and find out how you will be able to reach them. Know what you are getting into. Carefully review the agreements that you will be making with the manufacturer. Find out whether you will be paid a commission through a sale made by the manufacturer that is not through you. The agreement should also contain provisions favorable to your interest should the following circumstances occur: if you or the manufacturer terminates the sale agreement (request for override to continue for extended period, e.g. two years); if the manufacturer decides to discontinue the product (insist manufacturer sell you the product); if the manufacturer decides to sell the product to another company (you should get commission on the sale); or if you produce another product in the industry (some manufacturers prohibit this). Be sure to go over the agreement with a fine-toothed comb. Get a patent on your product idea. It is advisable for inventors to secure a patent for their creations. There is always the risk that the manufacturer may steal your idea and shut you out completely. Invest in the development of a prototype and filing of patents and trademarks. However, you can also make arrangements for the manufacturer to cover the costs of patent application. If they agree to pay the full patent application and other fees, you can then assign the patent to the manufacturer. You can do away with licensing, joint ventures and private label and strike it on your own. By starting your own company, you retain total control of your product idea, how it is going to be manufactured, marketed, and sold. You will be responsible for moving the product from an idea into a powerhouse in its industry. More than just an inventor, you now have to learn how to start and run your own company. Starting your own company means a lot of work and tough decision-making. However, it is also the only strategy if you want to maximize the returns on your invention. Your goal would be to build a solid, long-running company based on your product inventions. The first step is to create a comprehensive business plan with a clear and realistic financial plan. Manufacturing and marketing an invention is not cheap: it can run from thousands to millions of dollars. 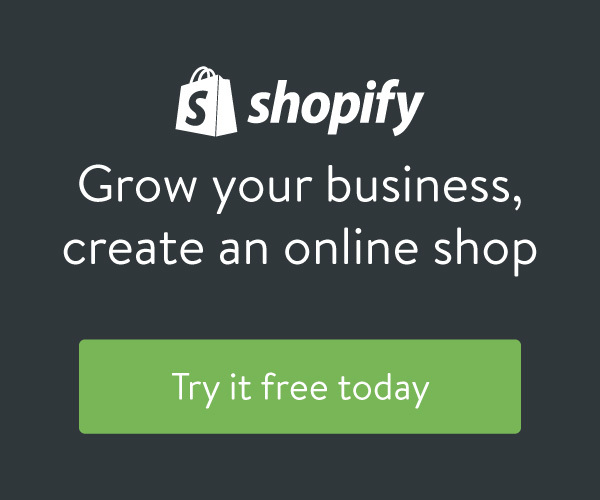 You can self-finance your venture (e.g. personal savings, credit cards), or borrow money from banks, friends and relatives. You can also explore finding investors in your business who believe in the potential of your product. Internet Sales. 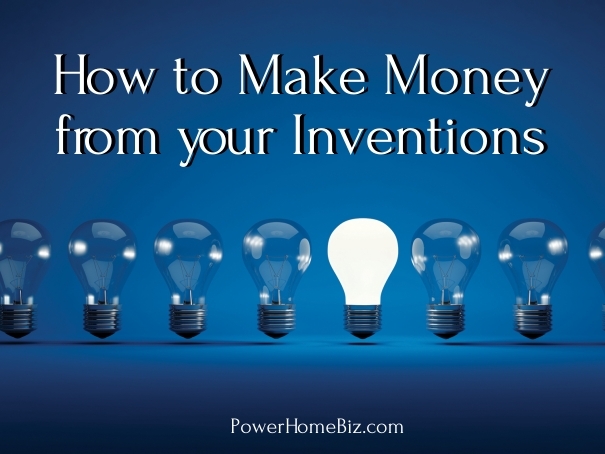 The Internet has now become an important sales medium for inventors. It is an ideal marketplace for niche products that may have a dedicated core of customers. The key is to create a web site that can generate significant traffic and sales. Mail Order Catalogs. While the mail order catalog business has lost some of its luster with the advent of the Internet, catalogs catering to a specific niche still remain an important market for inventors. The key is to find and select the right catalog that sell to your target audience. You can increase your chances for success if your product is distinctive, not generally available anywhere else, and catering to the catalog’s target audience. Home TV Shopping. The Home Shopping Network and QVC have become an important venue for selling your own products. These TV shopping networks have a wider audience reach and have the ability to connect to a broader segment of the population. They cater to the population that spends time caring for the house – usually women and work-at-home individuals. Products that cater to this segment such as cleaning products, jewelry, home decorating items, etc. do well for this audience. The key to success in home TV shopping is to craft your ad to generate immediate user response. Make your ad so compelling that people will actually take the phone and order your products. Stress that your products address a specific desire or need, or is tied to a customer’s self image. It is also important to provide incentives for buyers to purchase immediately. Encourage immediate buyer response by including freebies and add-ons to your products if customer buys within a particular time frame (e.g. buy this product now in the next 30 minutes and you get additional goodies). Use other promotions and other purchasing incentive like buy-one-get-one free. Don’t forget to include your web site (if you have one) in your ad. Some buyers would like to read more about the product before purchasing.